The world’s first Canada Philippine Fashion Week kicked off Monday evening with a lavish cocktail party at Lexus Downtown. Celebrating the best of fashion, style and culture of the Philippines, Canada Philippine Fashion Week provides a unique experience into the innovative and creative designs of Filipino fashion. 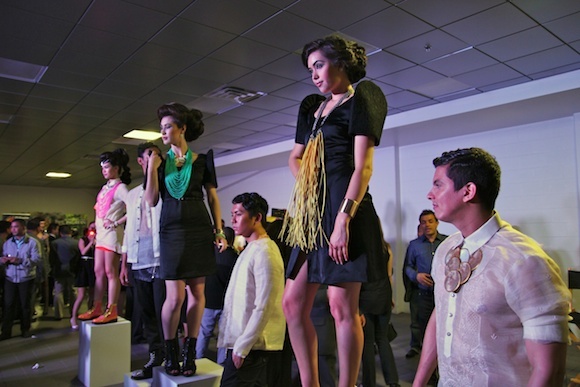 The opening party featured the debut of Vinta, a Filipino clothing line founded by Caroline Mangosing. Designed in Toronto and manufactured in the Philippines, the collection offers chic, well-crafted Fillipino cultural clothing with a modern twist. I was curious and excited to see what Filipino fashion was all about and how Vinta would reinvent traditional Filipino clothing to a more contemporary look. 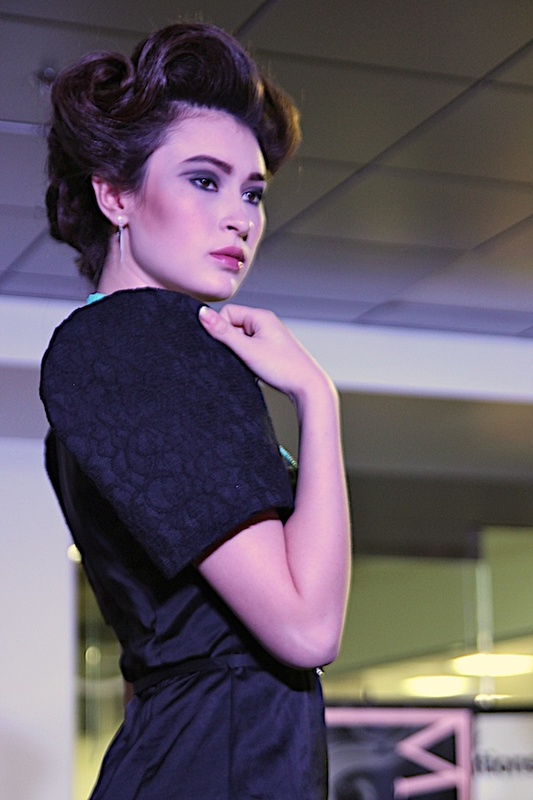 The terno dress (a butterfly sleeved dress) was updated with exaggerated butterfly-winged sleeves and featured two versions: a sheath silhouette and an A-line cut with an empire waist. 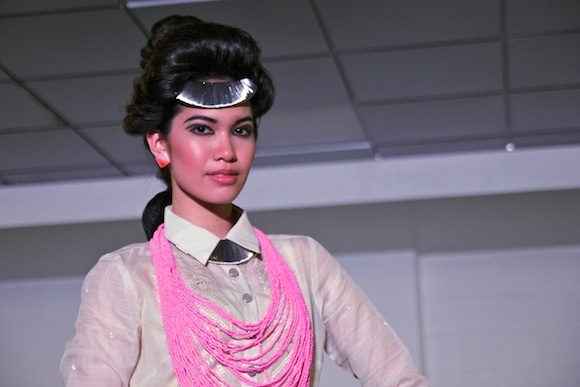 I couldn't take my eyes off the extravagantly oversized, statement necklaces that made a fun, colorful pop. It was a definite show-stopper. 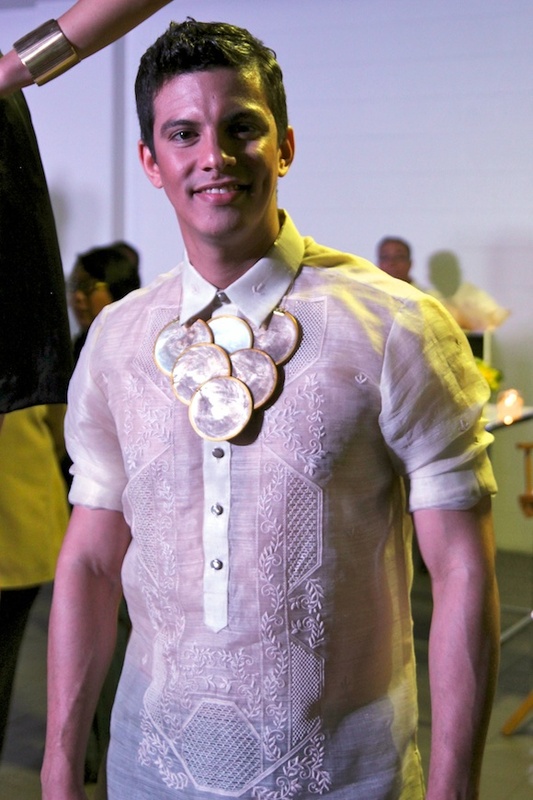 The males were a little less eccentric but nonetheless stylish in their barong (a sheer, embroidered formal shirt) made modern with a slim cut. The women’s version of the barong, the Tibo, was modeled as a lovely tunic dress with an elongated hi-low hemline. I love the detailing of the collection -- the textured pattern on the butterfly sleeves and the embroidered embellishment on the barong are intricate and exquisite. 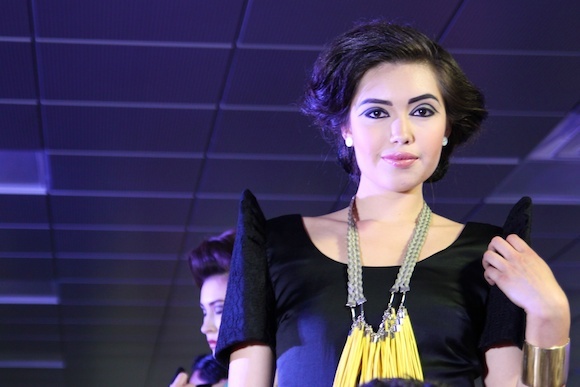 Overall, this traditional-meets-contemporary line was fresh, stylish and beautifully designed, with a Filipino flair. I can’t wait to see what else is in stores for Canada Philippine Fashion Week and the world of Philippine couture.